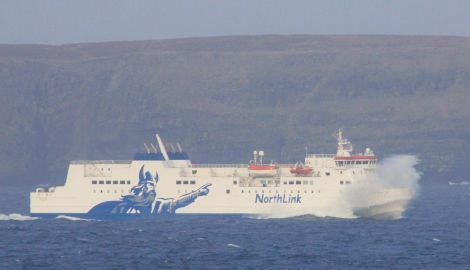 THE SOUTHBOUND NorthLink ferry sailing is set to depart Lerwick nearly four hours early today (Monday) due to windy weather. The Hjaltland will leave at 2pm instead of the usual 5.30pm, with delays expected arriving in Kirkwall and Aberdeen. The departure of the northbound sailing from Aberdeen to Lerwick may be subject to delays and arrival into Lerwick on Tuesday could be up to two and half hours late. Freight sailings between Lerwick and Aberdeen on Monday are cancelled.